Marriage has been a topic for the ages. “Is it meaningful or just an antiquated notion?” is a question for some; while others focus on finding love and eventually finding “the one.” Although opinions about marriage vary greatly, it is evident that a lot of people are looking for love. But what does one do when they feel that they’ve exhausted all options? Sometimes the road to marriage requires enlisting help from professionals. Insert the docu-series, “Married At First Sight.” The show profiles three couples each season, each who have never seen each other and know nothing about their future spouse until they meet for the very first time at the altar. 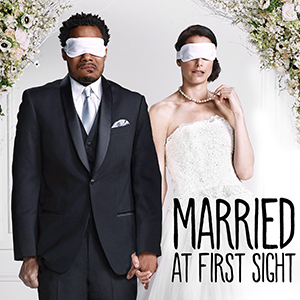 Guided by the show’s three resident experts — Pastor Calvin Roberson, Dr. Pepper Schwartz, sociology professor and author, and Dr. Jessica Griffin, clinical and forensic psychologist, the couples leave their fate and all hopes for a successful marriage in the hands of complete strangers. 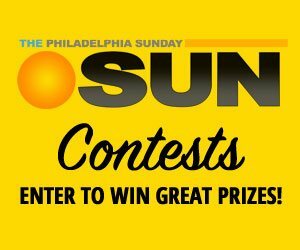 Pastor Calvin Roberson sat down with the SUN to offer insight on the show and what makes two people truly compatible for marriage. 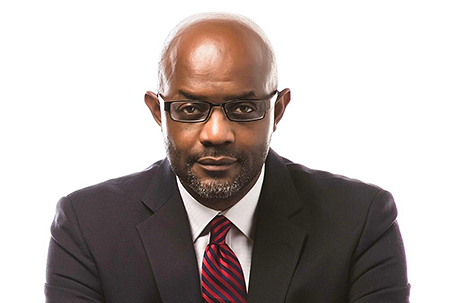 Pastor Roberson balances multiple titles including; marriage counselor, motivational speaker, as well as pastor. Known affectionately as “Pastor Cal,” he leads his own congregation in Atlanta, and offers relationship coaching alongside his wife Wendy. When it comes to marriage, Pastor Cal’s belief is unwavering. People interested in participating in the show have to be willing to put in the aforementioned work required for a successful marriage. In addition to the basic factors that determine whether two people are well suited for one another ‘til death do them part’, “Married At First Sight” uses an intensive vetting process to ensure that potential participants in the show are there for the right reasons. Once the couples finally meet and attempt to expedite the process of learning each other, creating a dynamic unique to their union, and infusing their lives together– they are met with even more challenges. Accepting the challenges of love development and building a life as a team are required to make any marriage work; the arranged marriages on “Married At First Sight” are no different. But what determines who will be a good match? “There are a number of factors that determine whether people are a good match,” Roberson said. “Number one is whether or not they have comparable values. Do they have the same belief system, and I don’t necessarily mean religious or spiritual beliefs… but do you believe in family? Do you believe in honesty? Do you believe in trust? Are these the things that you live your life by? Are these the irreplaceable principles that you guide your life by? Each season “Married At First Sight” seeks potential couples in a different city. The show is currently casting in Philadelphia, hoping to find marriage-minded men and women in the City of Brotherly Love. Pastor Cal shared his delight for the Philadelphia season. There are so many smoke screens present in traditional dating it can be overwhelming. The team of experts at “Married At First Sight” offer an opportunity for couples to be placed together bonded by the elements that can sustain a long lasting, loving marriage. Not only is it rewarding for the couples taking the journey together on the show, it is also a rewarding experience for the panel of experts. Pastor Cal shared these final thoughts. Stay tuned for the announcement about the Philadelphia season of “Married At First Sight.” In the interim, be sure to tune in to Season 7 of “Married At First Sight” premiering on Lifetime on July 10th 9/8c. To keep up with all the incredible work Pastor Calvin Roberson is doing, visit his website http://www.calvinroberson.com/.